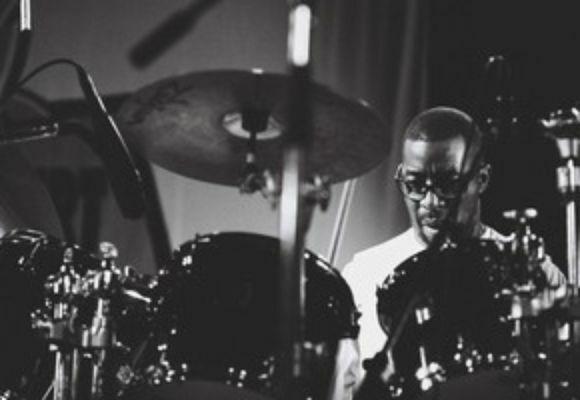 Internationally recognized for his consistent, subtle and stylish drumming on stage and in the studio, Victor Jones is known as an innovator who is not afraid to bring together different styles and sounds. He has played on hundreds of recordings, played hundreds of live concerts and performed in clubs everywhere on this planet, often as a backing musician for a variety of well-known artists. For the past five years Victor has been recording and performing with his own group, Culture-Versy, effortlessly blending Hip Hop, Urban Soul, Modern Jazz and Funk. Victor Jones is a leader that understands and plays with every facet of great American Music and popular art forms.